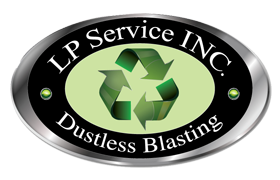 Removing paint, rust, auto filler and more is easy thanks to LP Dustless Blasting. After a while any property starts to decay, gather mold or just get a little dingy. Let us clean the surfaces for you. LP Service has built its business by providing exceptional quality and service to our customers. We have been serving Fairfield and Westchester counties for more than 15 years, and are proud to now offer dustless blasting as part of our professional services. Importantly, our dustless blasting is Eco-Friendly, and meets all the standards that are important to our community. Our mobile equipment is dust free and significantly faster than other systems. We can work in any location and will never leave unwanted residue in the surrounding areas. And there is absolutely positively no coating that LP Dustless Blasting can’t remove. Our dustless blasting service is tough on paint, powder coating, grease, dried glue, caulking, corrosion, rust, weather build-up and much more – yet gentle enough to not cause any damage to the original surface.